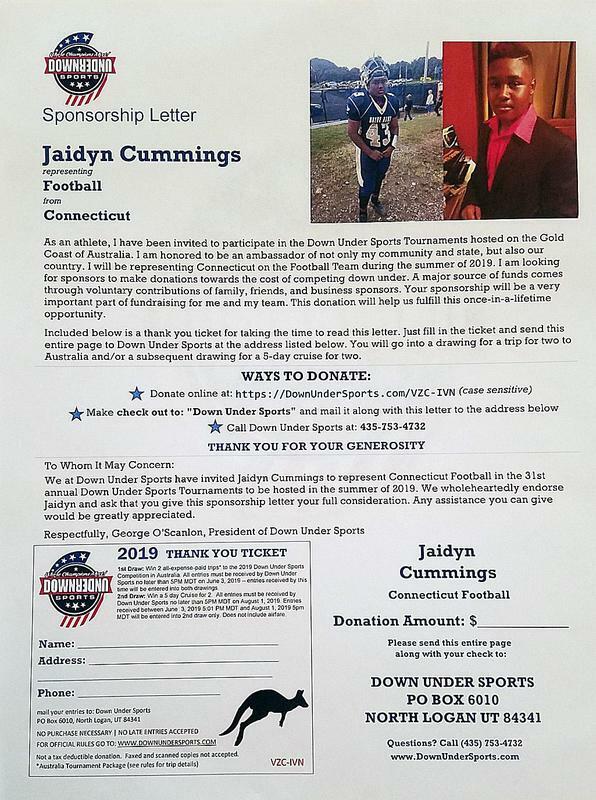 New Beginnings Family Academy 2018 graduate Jaidyn Cummings, who led Notre Dame Fairfield's defense as a freshman, won a spot in a tournament in Australia and is raising funds for his travel. 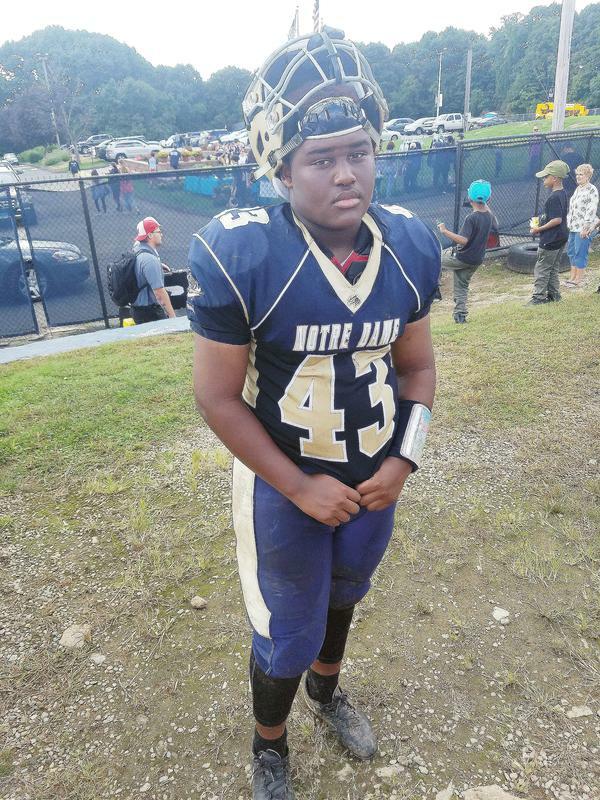 BRIDGEPORT -- New Beginnings Family Academy alumni and now standout linebacker at Notre Dame Fairfield is on his way Down Under, but he needs a bit of help. Jaidyn Cummings, 14, a 2018 NBFA graduate, was recently honored by local leaders including Sen. Richard Blumenthal for earning a coveted spot at the Down Under Sports Tournament - some 9,666 miles from his Bridgeport home - on the Gold Coast of Australia. Now, he needs help to raise the money needed to travel to Australia on June 30, his birthday. Cummings must raise $4,100 for the trip. Cummings made honorable mention on the 2018 All-South-West Conference Football Teams and led Notre Dame in Tackles as a freshman this past season. Off the gridiron, Johnson said Cummings is a coach’s dream. Cummings, who brought a smile to every NBFA educator who heard he was honored, said two of his most influential teachers were Mr. Joseph Brigante and Ms. Kim Dawson-Gibbs because they encouraged him to stay on task. Shannon Cummings, Jaidyn’s aunt and guardian, said she was floored when she heard the news of his honor. Down Under Sports (International Sports Specialists, Inc.) was founded in February 1989 when four states produced a handful of teams to present athletes from almost all 50 states to compete in the Down Under Bowl, Hoops Classic and International Games. The goal is to use the common language of sports to bridge the continents. To help contribute to Cummings’ travel expenses, visit https://downundersports.com/payment/VZC-IVN.